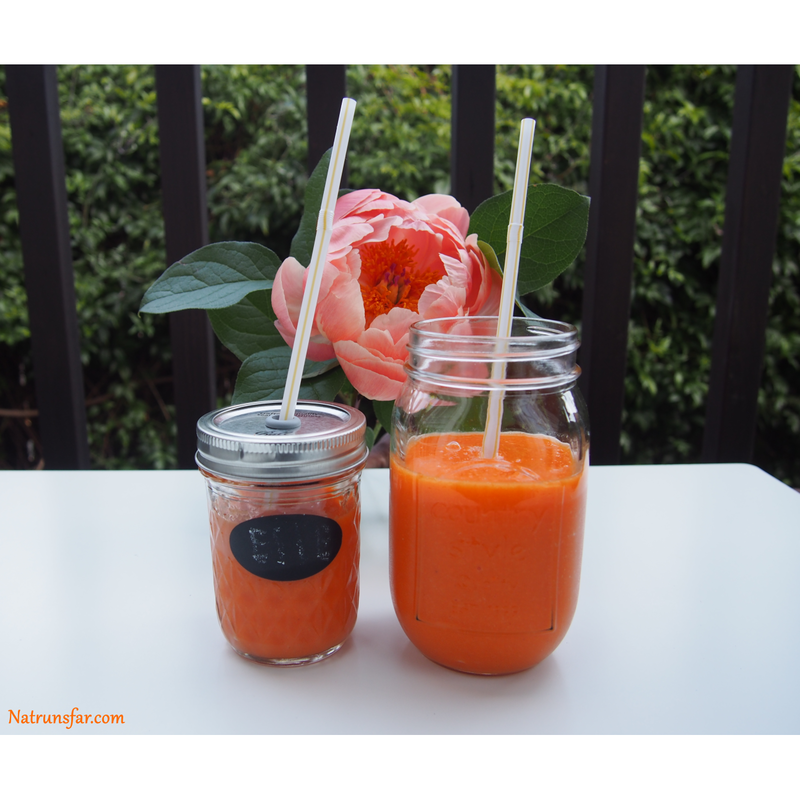 Natrunsfar: It's all about apples! I am a huge apple fan and as runners, we like a big, juicy apple to eat, right? I asked Jerold to pick out all the different types of apples available at Whole Foods so we could give them a try (Thank you honey. I can't wait to start driving again!!). 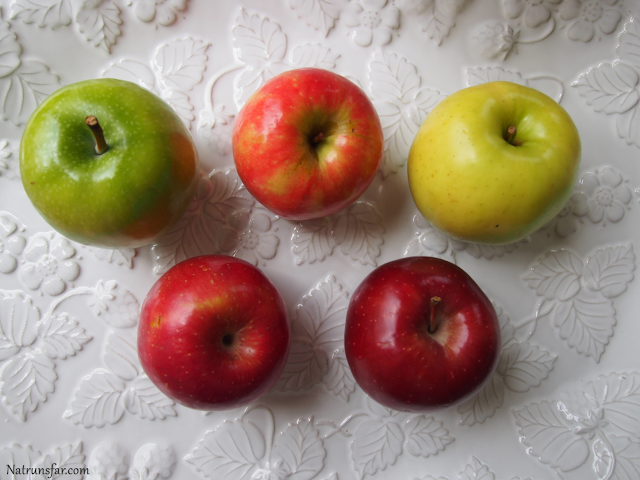 We normally stick to eating only Fuji apples, so it was fun to try some other varieties of apples. Alright! Let's talk apples, shall we? Did you know there are 7,500 varieties of apples grown worldwide?! 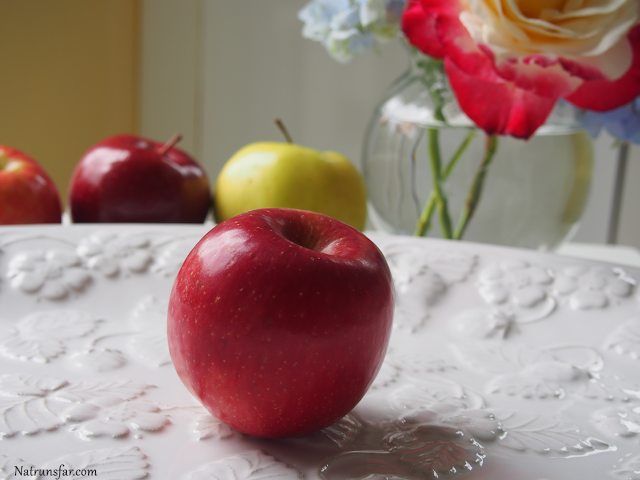 In the US, Washington State grows a lot of our apples and the Red Delicious Apple is the most popular apple in the state (source) and represents about 30% of apples grown there. 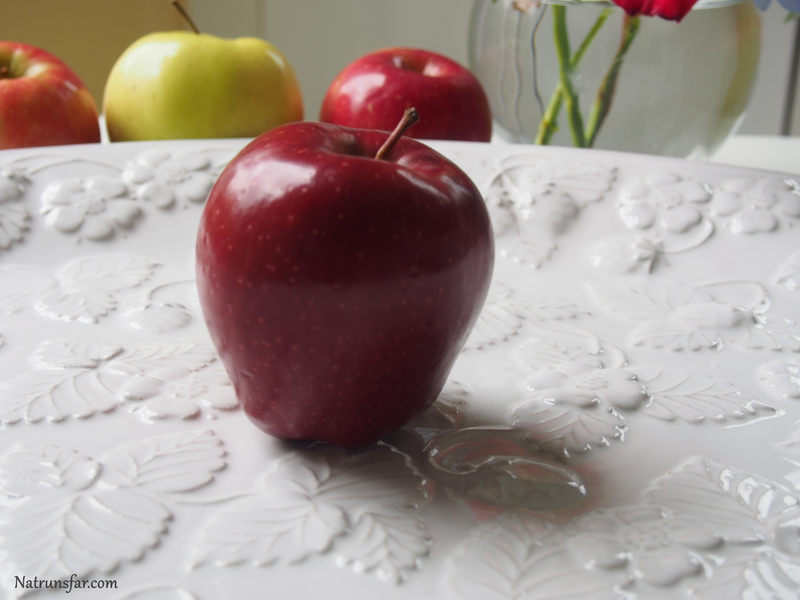 The Red Delicious originated in Peru, Iowa and was introduced to the market in 1874. This apple is harvested in September and October, but is available throughout the year. This beauty is from New Zealand and was introduced to the market in 1965. Galas have gained popularity with consumers in the last 15 years and it can be described as a crisp, sweet, snappy apple (source). The Gala is harvested from the middle of August through early September and stocked in stores from September through May. I loved the flavor of the Gala! If I didn't choose a Fuji, I would choose the Gala. 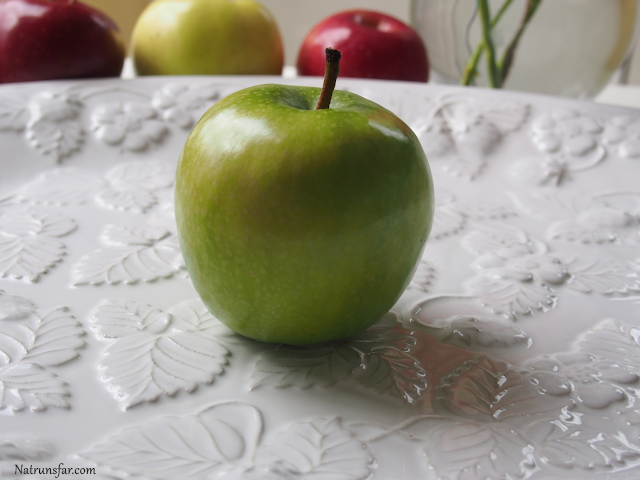 Ahh, don't you just love the bright green beauty of this apple? Extremely tart and crisp, these apples are available year round. in 1868 Maria Ann "Granny" Smith discovered this apple in Eastwood, New South Wales (a suburb of Sydney, Australia). On the 3rd Saturday in October in the town where Maria discovered the apple, there is a Granny Smith festival that attracts 80,000 people each year. The Golden Originated in Clayton County, West Virginia in 1914. They are harvested in September and available year round. I love, love Fuji Apples! 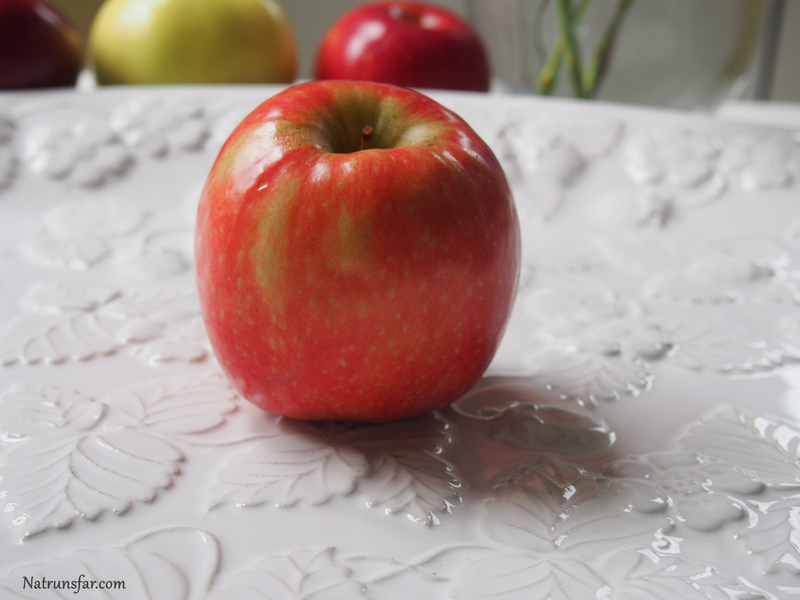 This apple originated in Japan and was brought to the market in 1962. However, it wasn't introduced to the US until the 1980s. 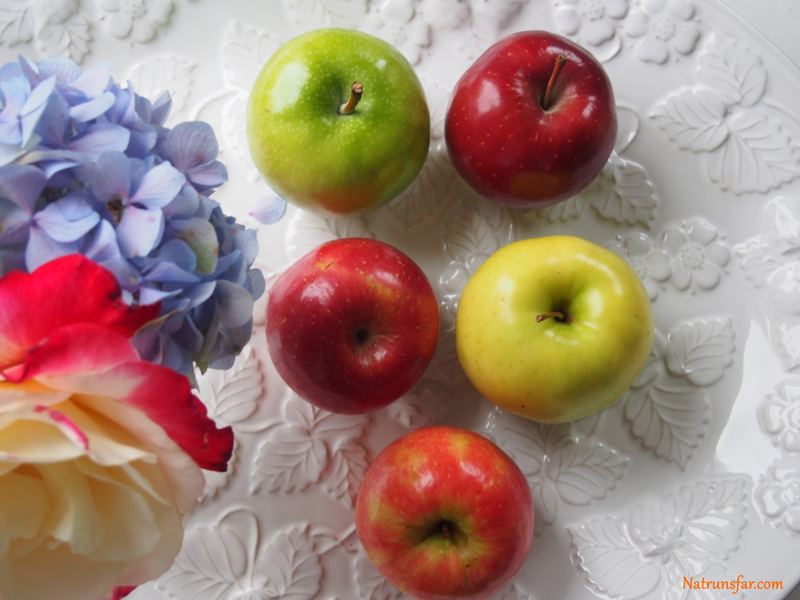 Interesting fact ---> The US now produces more Fuji Apples than Japan! Fuji Apples are known for it's hard texture and syrupy sweetness. This apple is excellent for baking and for salads! Fujis are harvested in October and can be purchased nearly year round. One thing we love at our house is dipping. 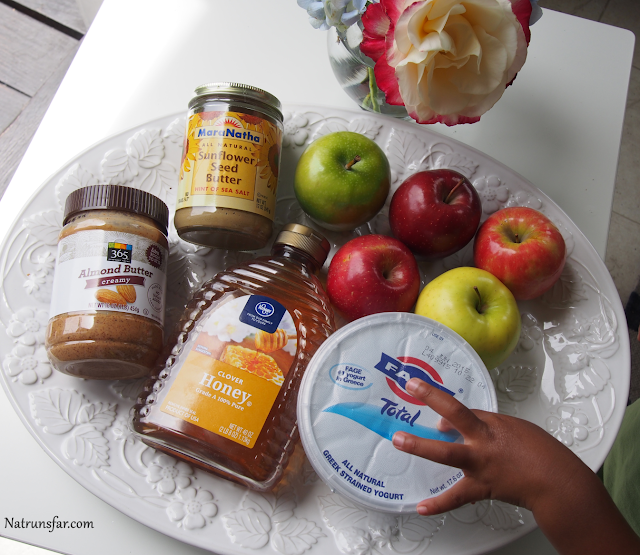 Although I love to wash and eat a crisp apple, I also love to dip apple slices into something yummy with my kiddos. I put a teaspoon of honey into a cup of plain greek yogurt as a wonderful dip. Almond butter and Sunflower Seed butter are also great for easy dipping. 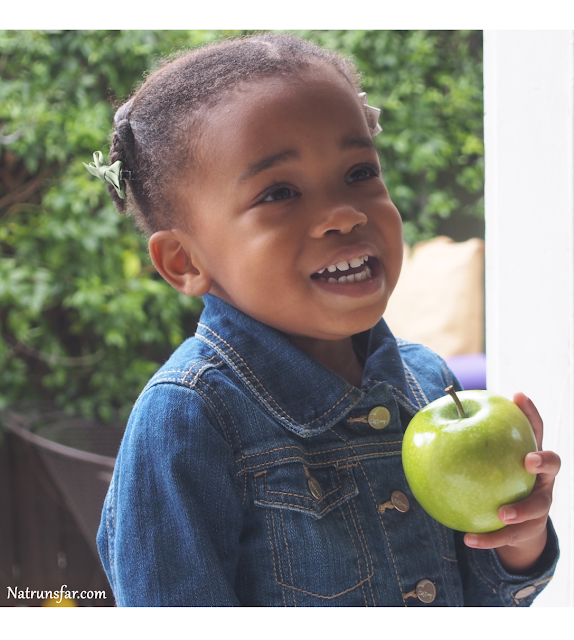 Remember ---> apples are a fruit that is best bought organic. 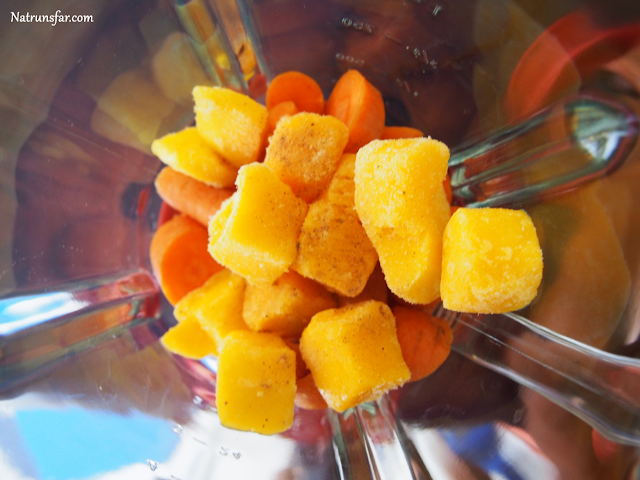 You can read my past post HERE about which foods to buy organic. That's all for now friends! Happy eating and drinking!! 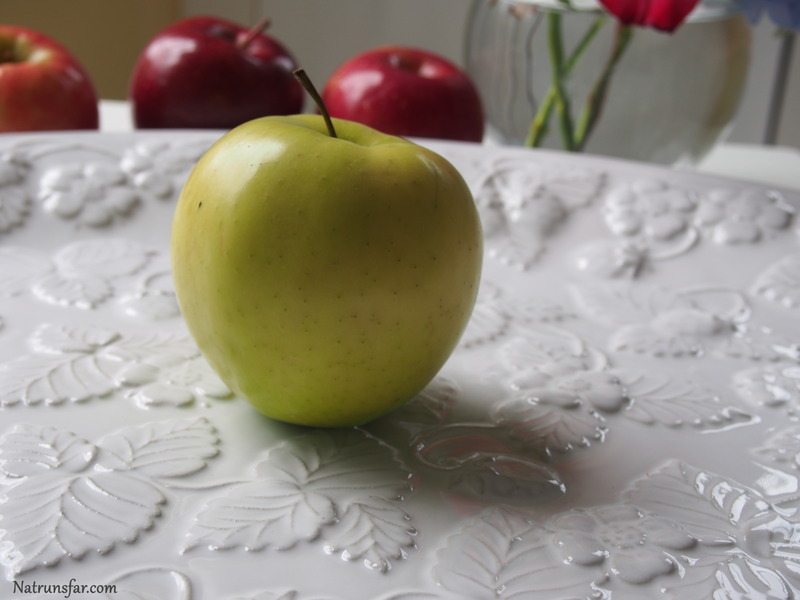 What type of dip do you like to use for your apples?